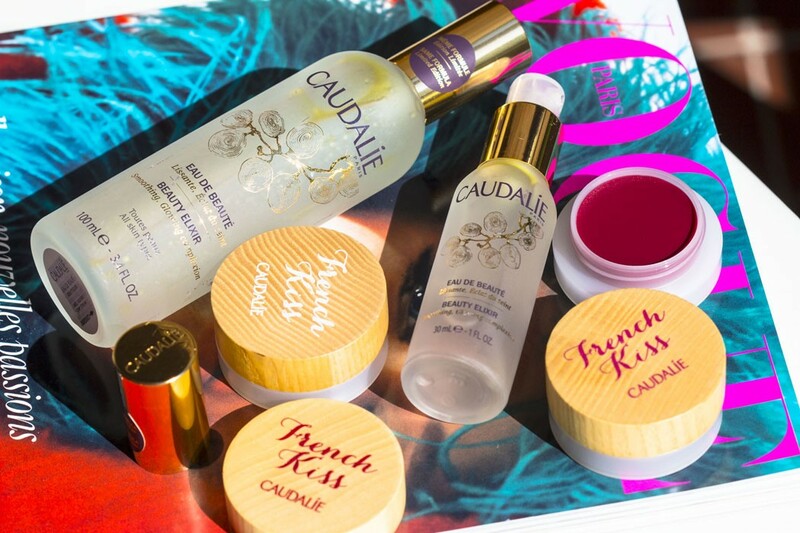 Caudalie celebrates the 20th anniversary of its cult-fave Beauty Elixir with limited edition packaging and the launching of 3 tinted lip balms. 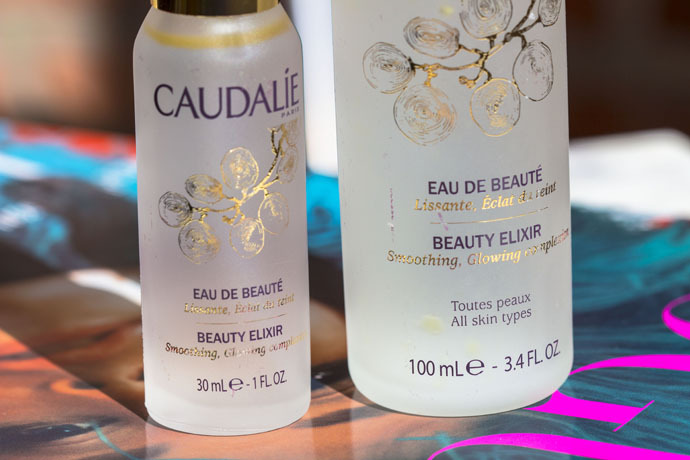 Caudalie Beauty Elixir (€12,80/ 30ml; €37,00/ 100ml) | I’m a fan of this beauty water and I’m using it since 2011. 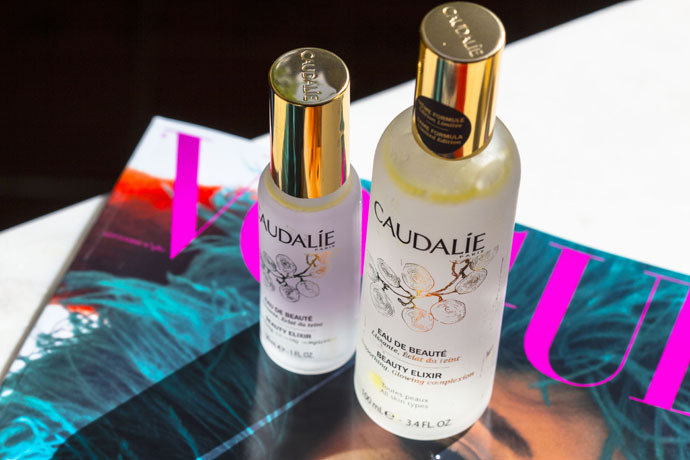 Caudalie claims its cult product, inspired by Queen Isabelle of Hungary’s ‘elixir of youth,’ “visibly smoothes features’ and “tightens the appearance of pores”. I like to have it in beauty products cabinet and in my bag (especially during summer). I apply it on my skin and also on my hair during summer and it’s my essential when at the seaside because it instantly calms my skin and fights sunburn. The most magical effect of the Beauty Elixir however, is the fact that it makes me feel better when I’m depressed or tired. 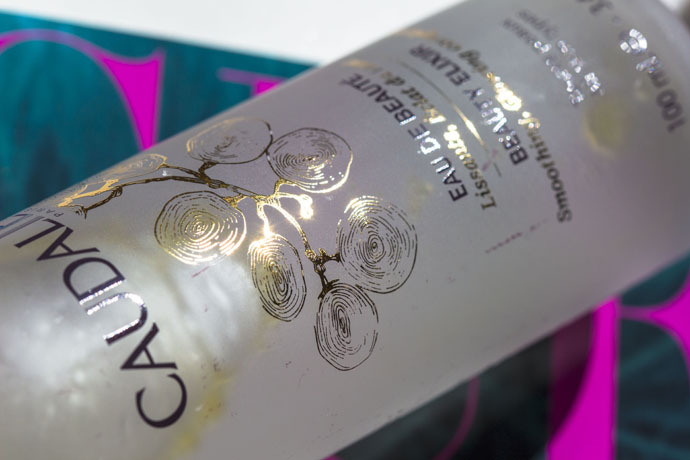 I truly recommend this grape-seed-extract-infused mist because it’s an impressive product. 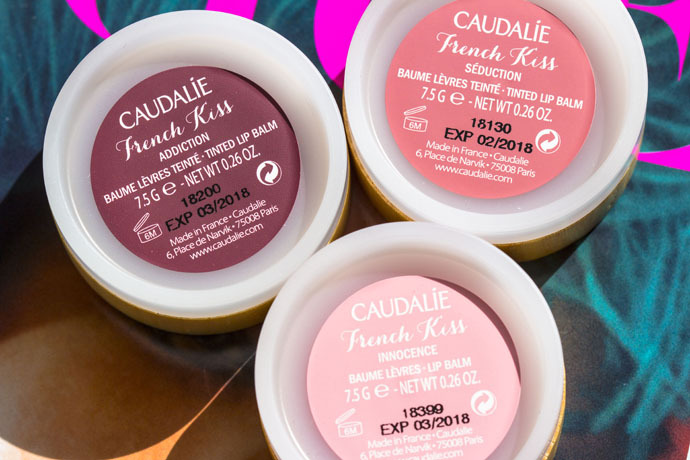 Caudalie French Kiss (€12,30/ 7,5gr) | Caudalie has launched 3 tinted lip balms: Innocence, Séduction, Addiction. 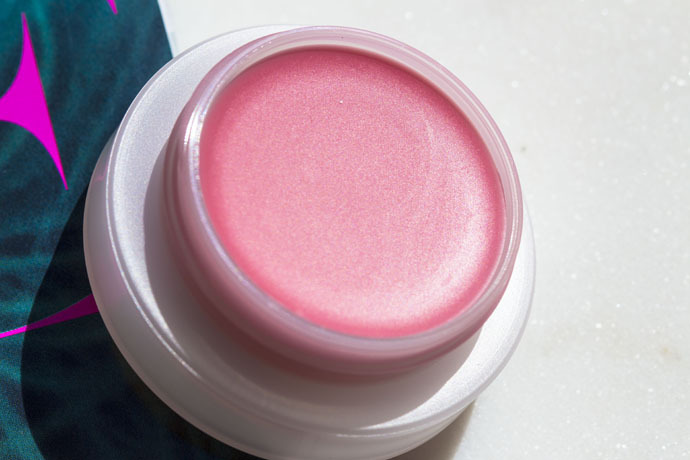 I love the formula of the balms because the covering layer has the texture of a scrub, and the more you put your finger inside the pot in order to apply product on the lips, the more the scrub texture mixes with the creaminess. 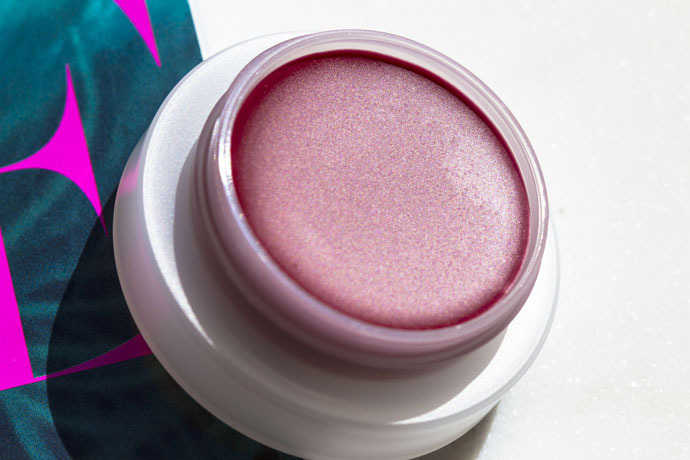 The balms have therefore a double effect: they exfoliate and hydrate the lips. They taste and smell sweet and fruity, and the small scrubby particles melt a minute after making contact with the lips. 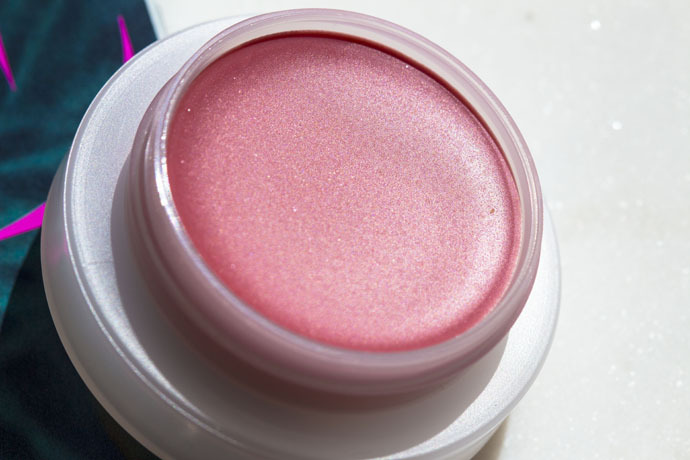 The formula is very hydrating, one application in the morning keeps my lips hydrated and comfortable during the day. 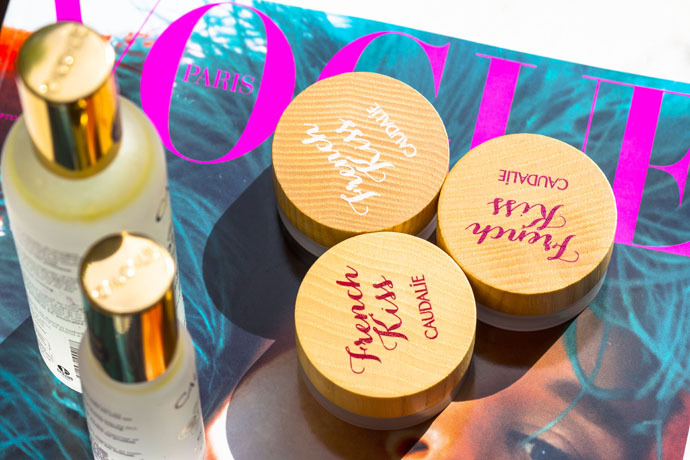 I also like to use the French Kiss lip balm as a lip treatment before applying a matte lipstick. 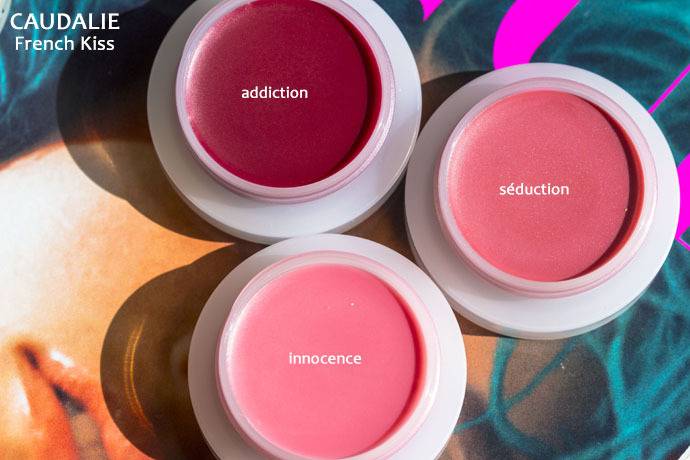 As you can see in the swatch photos, they are hardly pigmented; Innocence and Séduction look identical on the lips, Addiction is the most pigmented and offers a tinted lip effect. Addiction also works well when you want to retouch your red lipstick during the day. 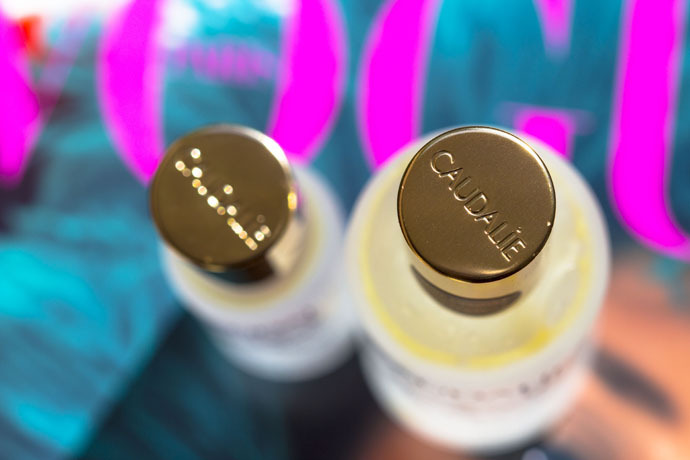 Apply on top for added hydration and for a refreshed look after having lunch/ coffee/ dinner. 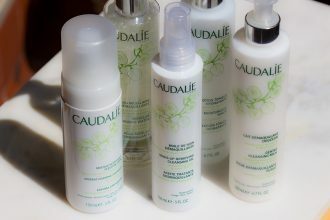 I’ve heard good things about this “caudalie” product! Going on my wish ♥ list now.